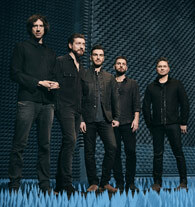 Snow Patrol are Gary Lightbody, Johnny McDaid, Nathan Connollrightl Wilson, and Jonny Quinn . 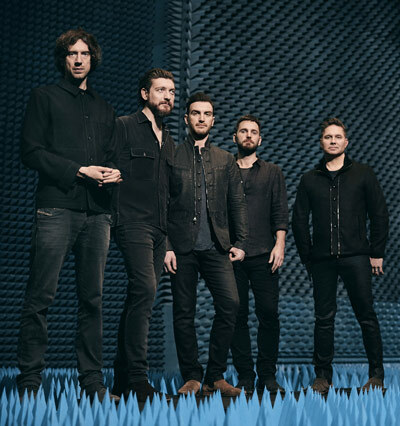 Over a two-decade career, Snow Patrol has carved out a unique place for themselves. Since their 1998 debut, Songs for Polarbears, which Pitchfork hailed as “an impressive piece of work,” their melancholy anthems of heartbreak and separation have mended hearts, and the band has racked up an impressive number of critical and commercial accolades, including 15 million global album sales, 1+ billion global track streams, 5 UK Platinum Albums, and are Grammy, BRIT Award and Mercury Music Prize nominated. They emerged as heartsore musical prophets in the shadow of grunge and shallow pop, striking a chord in the minds, memories and hearts of listeners over six groundbreaking, confessional albums. Eyes Open, released in 2006, was the biggest-selling album in the UK that year; they went on to headline such festivals as the prestigious T in the Park. 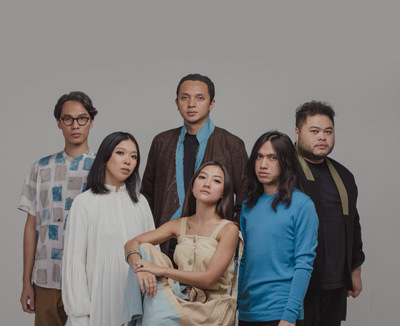 Barasuara is a music group from Indonesia consisting of Iga Massardi (vocal / guitar), TJ Kusuma (guitar), Gerald Situmorang (bass), Marco Steffiano (drum), Asteriska (vocal), Puti Chitara (vocal). Barasuara released their debut album titled Taifun in 2015. Initially Iga Massardi wanted to make a solo project for his own songs. But he was more interested in working on a project with a band. He then invited TJ, Marco and Asteriska. At first Pandu Fuzztoni (Morfem group guitarist) played bass, but because of his busy schedule he was replaced by Gerald Situmorang, who was initially invited by Pandu. After debuting at Iga's café, TokoVe Cafe in the Kemang area, Jakarta, Puti Chitara entered the line-up. GAC are Gamaliel, Audrey and Cantika. They first captured the hearts of music lovers when they were still teenagers by performing simple instrument as guitars and with good confidence, they both sang hit songs. Now their video channel on Youtube is accessible to more than 20 millions people from around the world, making it to be one of most influential Youtube Channels in Indonesia. GAC has been granted numerous awards from both national and international. AWARDS : - GAC received “Best Group / Duo” from 2017 Dahsyatnya Music Awards. - Single “BAHAGIA” has been viewed more than 11 millions on Youtube. - Single “NEVER LEAVE YOU” has been high rotation on radios. - GAC received “BEST BAND OF THE YEAR” from 2016 Indonesian Choice Awards. - GAC received “MUSIC GROUP OF THE YEAR” from 2016 ELLE Awards. - Album STRONGER has charted “BEST ALBUM 2016 on Rolling Stone. - Album STRONGER has charted #2 on iTunes Charts. - Performed at multiple international festivals. GAC already released two studio albums, where the latest album was produced in Sweden in which GAC collaborated with world-class musicians and producers. GAC has produced many hits including Bahagia, a powerful fresh energetic song and soon turns to be a positive anthem among youngsters. 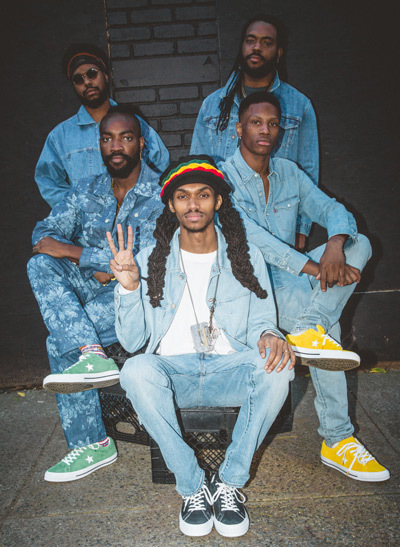 The band we know as Phony Ppl is a mix of people, time, and sound that's been nurtured over generations in Brooklyn. They were a group of kids who started making music together during after school sessions in the homes of their creative families, and who grew up to cultivate a sound that's as much punk as is it soul. A quintet of live music blending acoustic instrumentation with electronic inputs and different vocal styles, their outlook on life and music refuses to be boxed in. Over the years, the bandmates have ebbed and flowed, but now they've reached their final form with these five original members: Elbee Thrie on vocal duties, Aja Grant on the keys, drummer Matt Byas, guitarist Elijah Rawk, and bassist Bari Bass. Their sound is a mix of soul, R&B, funk, hip hop, jazz, pop, and everything between and beyond. It's very DIY, too. They do their own songwriting, arrangement, mixing, and production. All of the bandmates come from musical families (Byas's dad is DJ Jazzy Jay of Zulu Nation) and they went to an assortment of music classes, camps, and schools around New York and the country. The benefits of all this shine through in their comfort with their instruments and use of music as a first language. But it only serves as a means to express their own ideas and sets the high standard they hold themselves to. Like their sound, they avoid being fenced into one type of performance. You might catch them on a big stage at a festival, or at a more intimate venue like the legendary Blue Note in Manhattan. But their favorite spot is somewhere outdoors where they're on a level with the crowd. 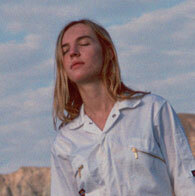 Amber Bain, aka The Japanese House, first heard the phrase Good at Falling, when a friend showed her a video game about a square experiencing an existential crisis, she started to cry. “I thought it was the sweetest, saddest thing ever,” she says. It came at the perfect time. She had finished her long-awaited debut album, and was reaching for a title that could somehow convey the period of uncertainty and change that had inspired its songs. Over the past few years, the mystery that once surrounded The Japanese House has dissolved into a clear artistic vision. With four EPs, put out between 2015 and 2017, Bain had already released an album’s worth of material, honing the sound and feel of her intricate indie pop dreamscapes, but it has taken her until now to make Good at Falling. Partly, that’s because she has spent much of the last three years on the road, touring with Dirty Hit labelmates The 1975 and Wolf Alice, among others. If the EPs were an introduction to The Japanese House, then the album reveals a new focus, both musically and lyrically. With the exception of album closer i saw you in a dream, revisited and revised as a slow, near-acoustic album close, Good at Falling is an album of new tracks, drawn from a particularly tumultuous and transformative period in Bain’s life, recounted with admirable honesty and candour. Good at Falling may be filled with the anxiety of uncertainty, at least in terms of its lyrics, but that’s in stark contrast to the sheer size and confidence of its sound, which builds on the foundations of the EPs with added vigour and a sharp sense of focus. Most of the songs began as demos recorded by Bain on her laptop in her room in London. They were fleshed out and finished in studios in Wisconsin, Brussels and Oxford, by Bain and her collaborators BJ Burton (who has worked with Low, Bon Iver and Francis and the Lights), and with George Daniel from The 1975. While the sound is still recognisably The Japanese House, its pop structures bending slightly, thrillingly out of shape, there is the clear surfacing of a concise pop sensibility, too.